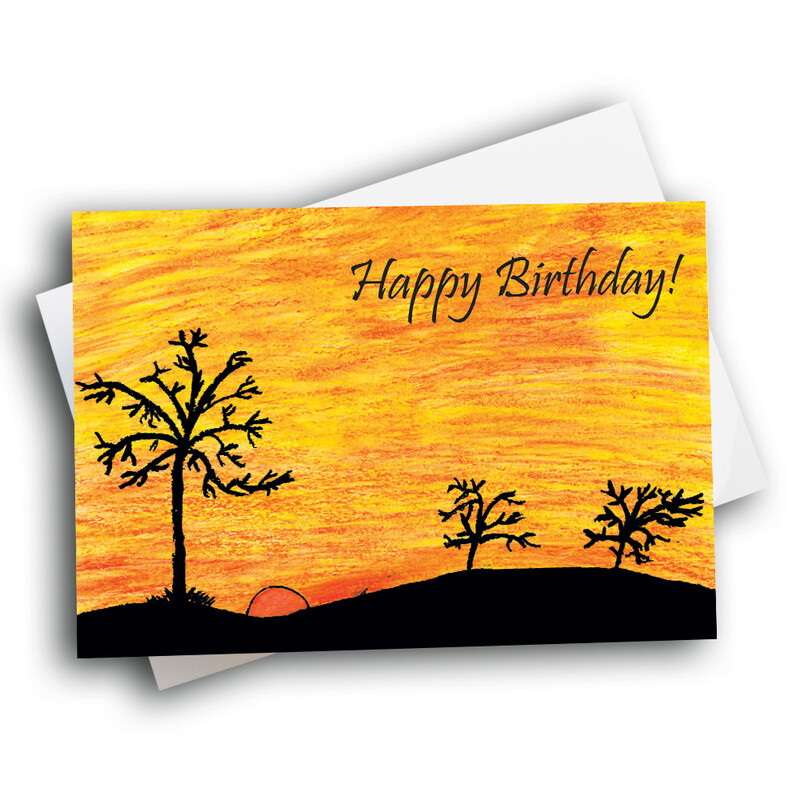 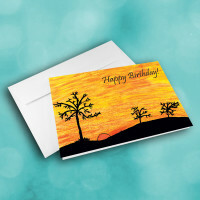 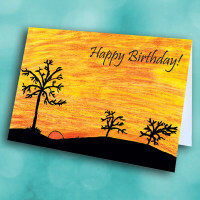 Send a birthday card sure to be special and memorable, with this beautiful sunset greeting card. 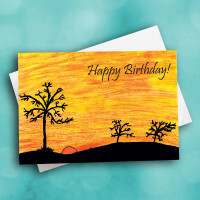 This beautifully unique card is sure to be perfect for even a corporate birthday. 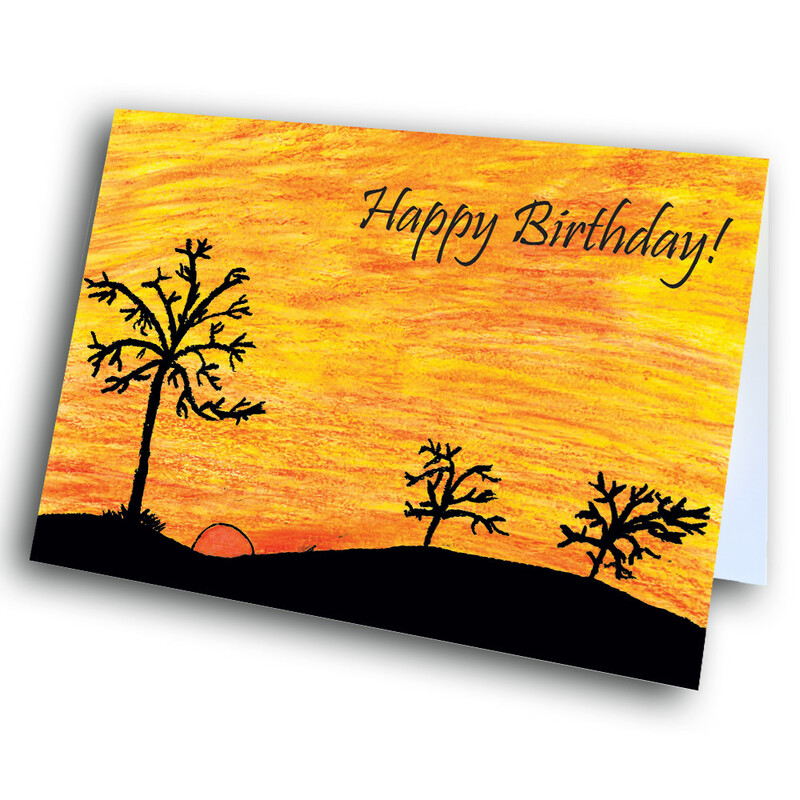 The front is a vivid blend of reds and yellows, making up a brilliant sunset. The birthday greeting sits against the variety of colors. 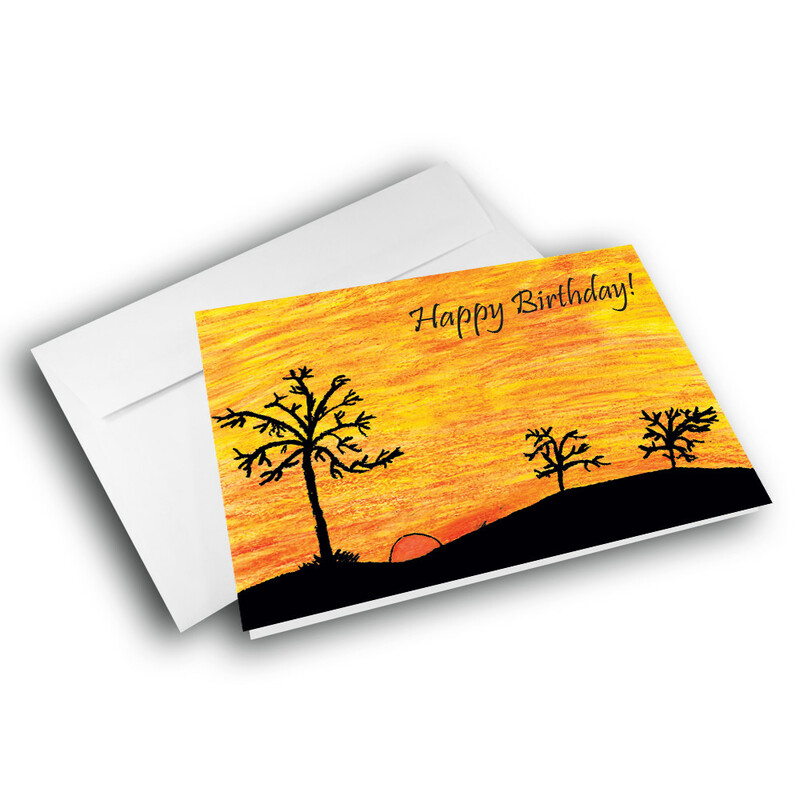 Add a customized message inside to give the card a personalized touch.